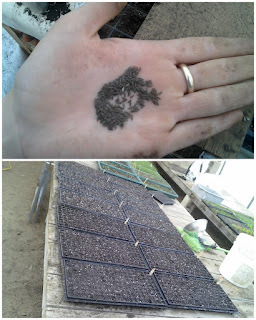 Tiny lettuce seeds went into flats and flats of soil today. 14 flats with 78 cells... 1,092 lettuce seeds. And more tomorrow? It's time!